This post in sponsored by GODIVA. Thank you for supporting our sponsors. They help keep us going! My love affair with brownies began at an early age. I never much cared for frosting, and fudge wasn’t something I was that into. So brownies became a nice in-between of cake and fudge with no frosting. 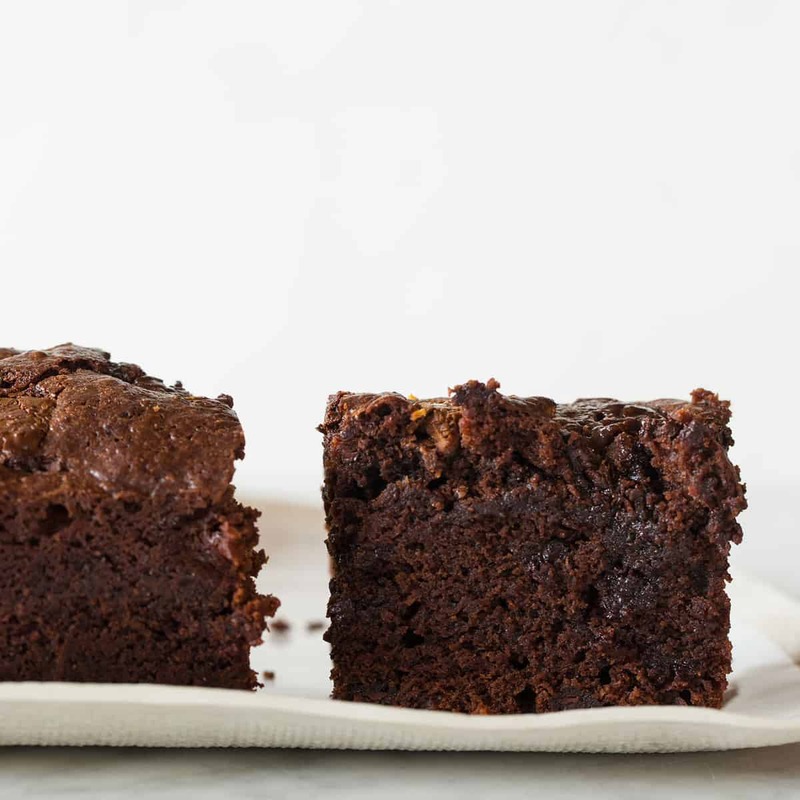 I always preferred the box mix growing up with no nuts or added chocolate chunks (I liked to keep things simple and plain), but now I prefer my brownies homemade and with mix-ins of all kinds. Today we have this Truffle Studded Brownie recipe for you to spark a little joy this holiday season. 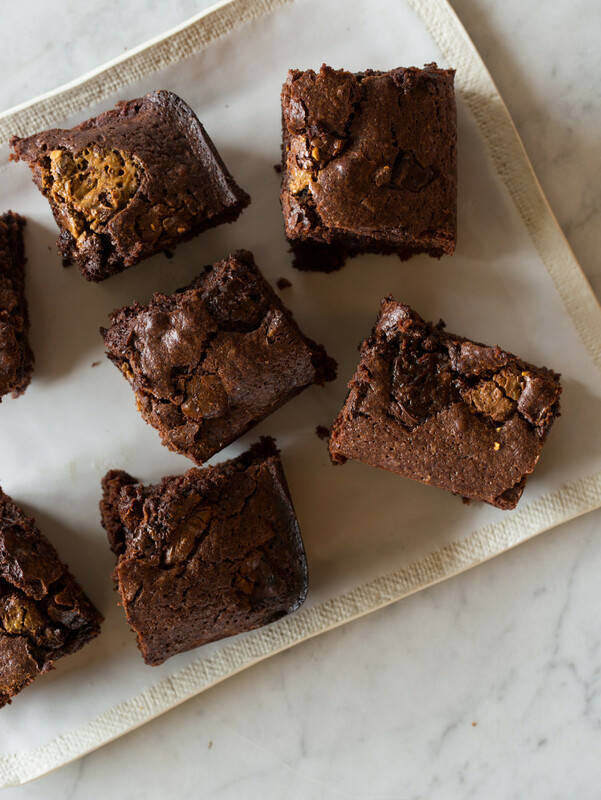 We topped this brownie recipe with beautiful GODIVA truffles for an essential touch, and it really takes these brownies to another level. I think these brownies would make such a nice gift, as would any of GODIVA’s festive treats (we used truffles from their signature truffle box). 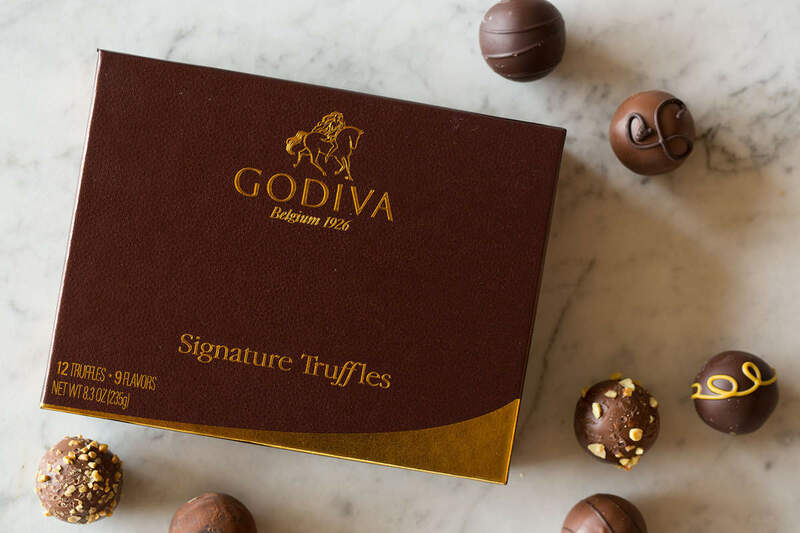 Check out their website to see everything GODIVA has to offer this season – and give a bit of happiness that lingers long after the chocolate is gone. We hope you enjoy these yummy brownies! 1. Preheat oven to 325˚F. Line the bottom and sides of a 9”x13” baking pan with parchment paper, leaving an overhang on two opposite sides. (This helps when removing the baked brownies from the pan, once cooled). 2. Add enough water to a medium saucepan so that it is 1 to 2 inches deep. Heat water until barely simmering. Combine butter, sugar, cocoa powder and the salt in a medium heat-safe bowl. Rest bowl over simmering water (if the bottom of the bowl touches the water, remove a little water). 3. Stir mixture occasionally until the butter has melted and mixture is quite warm. Don’t worry if it looks gritty, it will become smooth once you add the eggs and flour. 4. Remove the bowl from heat and set aside for 3 to 5 minutes until it is only warm, not hot. 5. Stir in vanilla with a wooden spoon or spatula. Then, add eggs, one at a time, stirring vigorously after each one. 6. When the batter looks thick, shiny and well blended, add the flour and stir until fully incorporated, then beat with the wooden spoon or spatula for 40 to 50 strokes. (The batter will be quite thick). 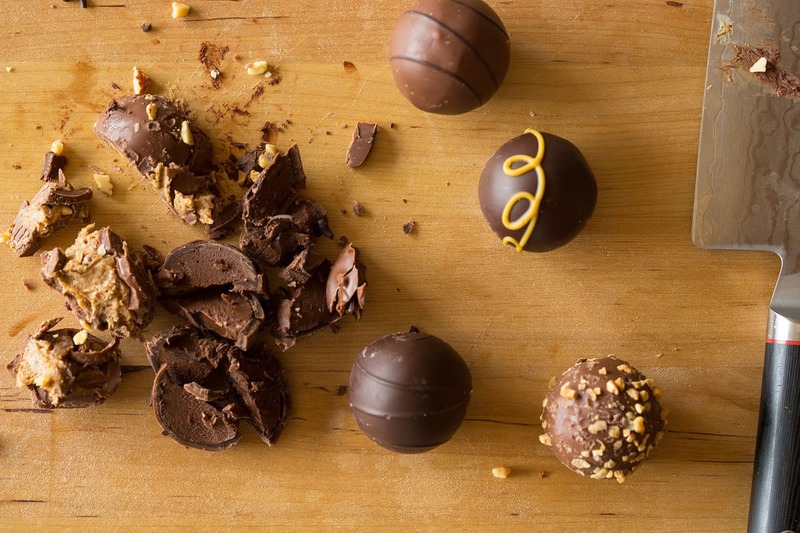 Spread evenly in lined pan and top with a generous sprinkle of the chopped GODIVA chocolate truffles. 7. Bake 30 to 35 minutes or until a toothpick can be inserted into the center and come out almost clean (you want it to be a little moist with batter). Cool completely then remove from pan. For the cleanest lines when cutting, place into freezer for 20 to 30 minutes to firm up. Cut into 12 to16 squares. 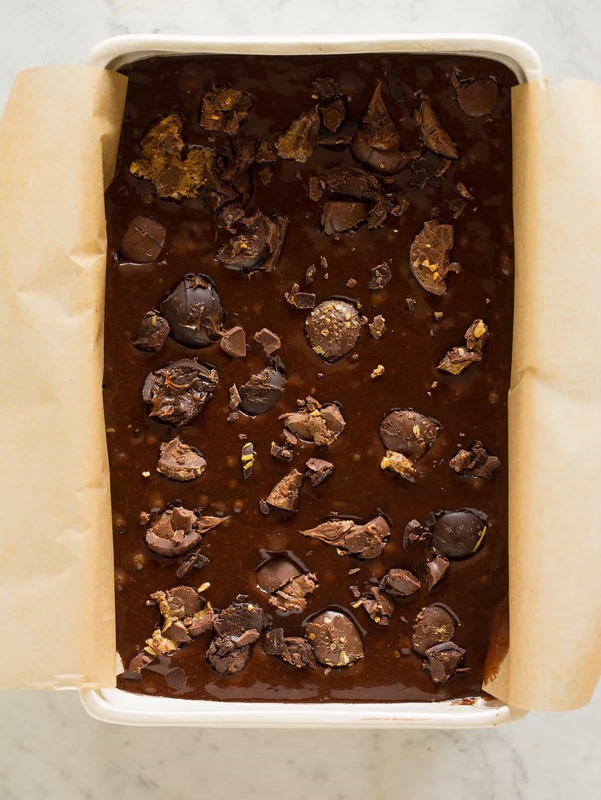 Truffles in my brownie sounds like one heck of a fabulous idea! Loving this! 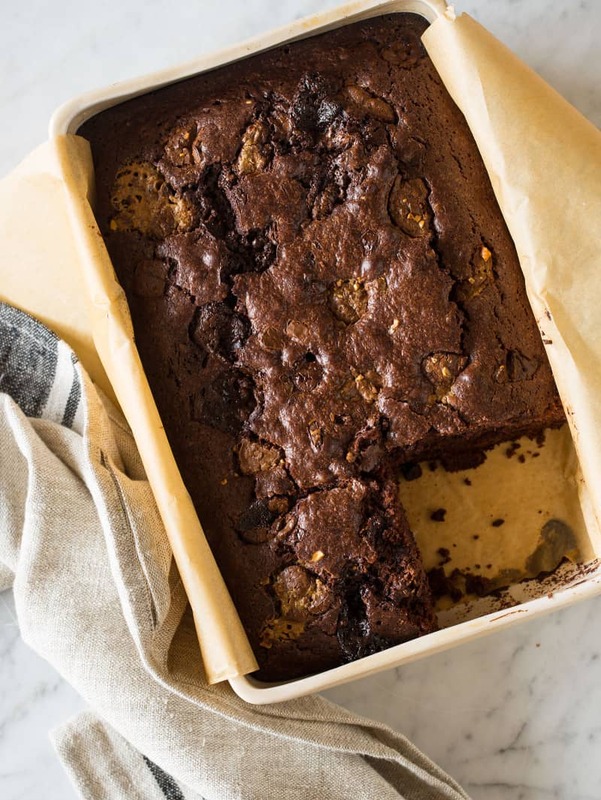 I have no idea how you mustered up the will power to not demolish those truffles as they come but I am so happy you did because these brownies look so insanely rich and gooey! Pinned! I always feel so guilty when I have that first truffle from a box at Christmas, and end up going back for more. Now I have the perfect alternative that I can share!